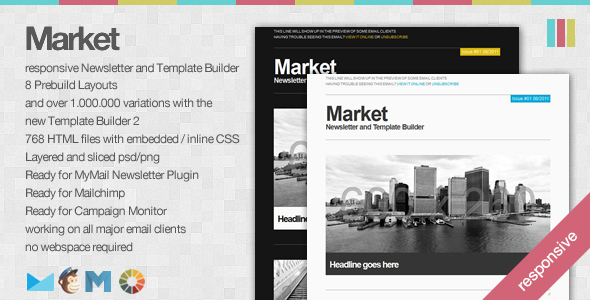 In this article you’ll find our selection for 10 newsletter templates that work with Mailchimp. 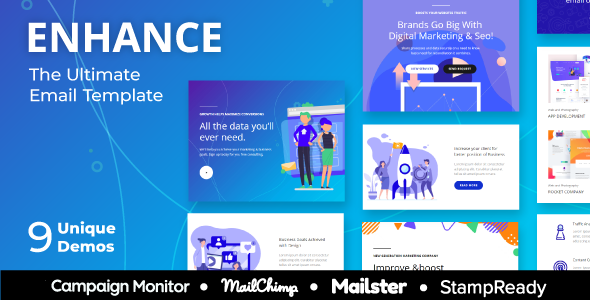 All the templates on this list are responsive meaning that they will be perfectly displayed on any device (pc, smartphones, tablets ...). 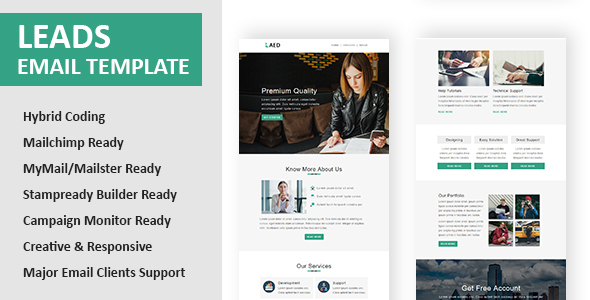 We have selected templates that you can customize without any knowledge of HTML5 or CSS3, as they include a drag & drop teamplate generator so you can customize your own design very easily. 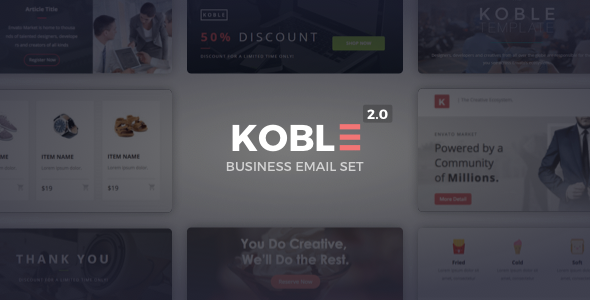 Once you have the definitive template, you can export it and upload it to your mailchimp.com account to send your campaign. 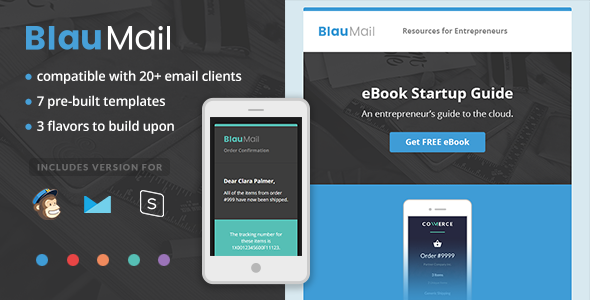 In this case it is more than just a simple template, since it is a resource of 9 templates compatible with Mailchimp but also with StampReady Builder, Campaign Monitor and Mailster. 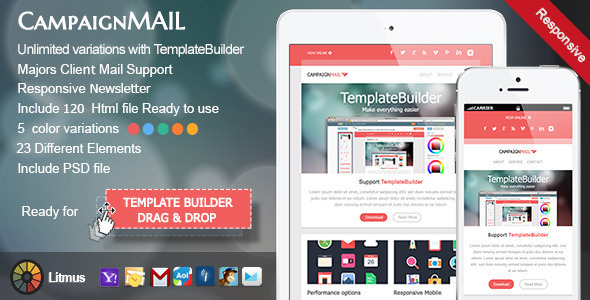 They also offer you the HTML versions and are compatible templates with all the large mail clients (Gmail, Outlook, iPad and iPhone, Thinderbird, Yahoo Mail, AOL, etc). 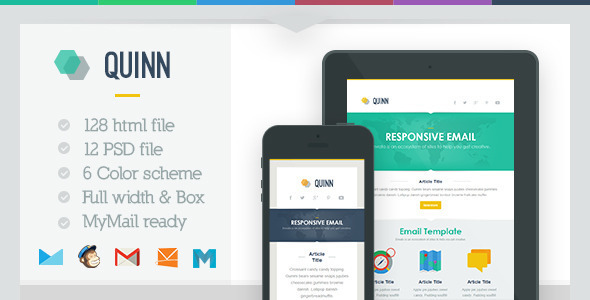 3 demos and 15 files compatible with Mailchimp, Campaign Monitor, StampReady and Mymail. 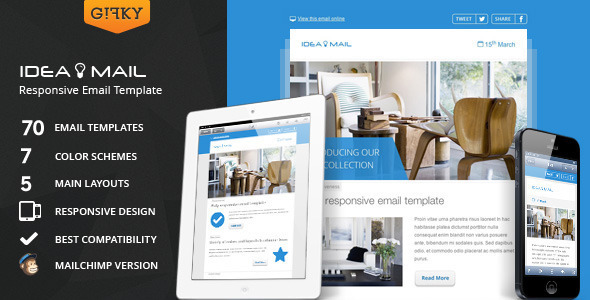 All these templates have been created by professional designers or design companies and are sold on the platform ThemeForest. 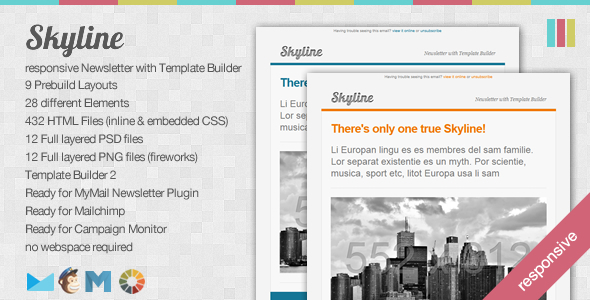 ThemeForest is a web design-selling site where you can find. 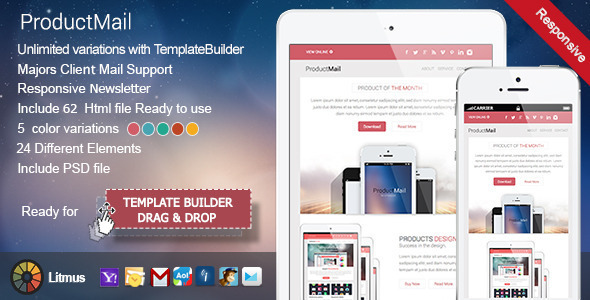 The price tag of the templates en the website is quite affordable given the quality standards of every design. For example, the templates on this list are sold for around 18$, a ridiculously low price if we take into consideration the amount of work we should have to put in if we had to start it all from scratch. 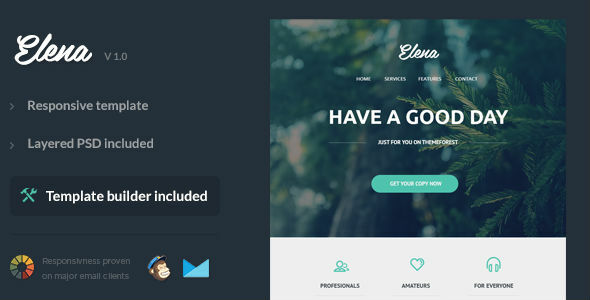 If you have any questions while purchasing a template on this platform, keep in mind that all the templates on ThemeForest come with a customer help service provided by the authors and that they are being periodically updated in order to get rid of small bugs, updating the code to newer versions, adding new functionalities, etc.